A kidnapped man is still missing and authorities are seeking information. On Friday, January 19, 2018, at approximately 11:15 am, the Burke County Sheriff’s Office Criminal Investigation Division (CID) was contacted by the Valdese Police Department regarding a kidnapping. The family of Carlton Lamaar Edmondson reported to Valdese Officers they had received phone calls from an unknown person stating their son had been kidnapped. The caller was demanding money for the return of Edmondson. Detectives with the Burke County Sheriff’s Office along with the North Carolina State Bureau of Investigation (SBI) began following leads in the case. The investigation took Burke County CID and the SBI to Boone, NC and then to Johnson County, TN. Investigators developed Robert Leroy Littleton, III as a suspect and Littlejohn was located in Mountain City, TN. After an interview with Littleton, he was arrested for the kidnapping of Edmondson in Burke County. Investigators learned during the interview that Edmondson had been taken to a remote location in TN, assaulted, and left. Edmondson has not been located at this time and Johnson County Sheriff’s Department is currently working the incident as a missing person. The investigation is ongoing and additional arrests and charges are pending. 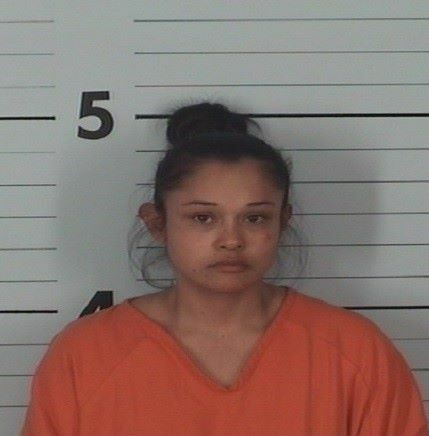 UPDATE Wednesday afternoon January 24, 2018 – Burke County Detectives arrested Leigh Kathrine Mina in Watauga County on Tuesday, January 23, 2018 for Felonious First Degree Kidnapping of Carlton Lamaar Edmonston on 1-18-18. Mina was brought before a Burke County magistrate and placed in Burke-Catawba District Confinement Center under a $200,000 bond. Mina’s first appearance was set for January 24, 2018 at 9 a.m. Mina reported that she recently married Robert Leroy Littleton but doesn’t have the documentation to verify same. UPDATE Friday afternoon January 26, 2018 – On Monday, January 22, 2018, Watauga County Sheriff’s Office was asked to assist the North Carolina State Bureau of Investigation, the Burke County Sheriff’s Office and the Johnson County Tennessee Sheriff’s Office with a kidnapping investigation that originated in Burke County, North Carolina. Watauga County Sheriff’s Office was asked to assist due to the fact that the alleged individuals involved were residents of Watauga County. As a result of this investigation assistance Michael Stacey James May, 39, a resident of 887 Slabtown Road, Zionville, North Carolina was arrested on a Fugitive from Justice Warrant from the State of Tennessee on Thursday, January 25, 2018 at his residence. May was taken before a Watauga County Magistrate on the State of Tennessee Charge Conspiracy to Commit Especially Aggravated Kidnapping and was given a $250,000.00 bond. On January 26, 2018, May waived extradition to the State of Tennessee and his return to the State of Tennessee is pending. UPDATE – A fourth person has been arrested in connection to the disappearance. 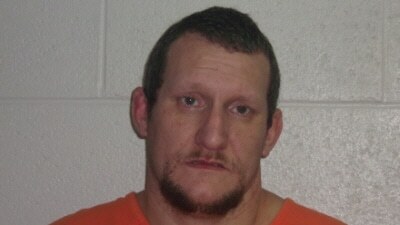 James Combs, 30, of Slabtown Road in Zionville was arrested on Friday. UPDATE Wednesday January 31, 2018 – A fifth arrest has been made related to the case. Valerie Ann Dollar, a resident of 8958 Highway 105 South, was arrested on a Fugitive from Justice Warrant from the State of Tennessee on Wednesday January 31 at the Watauga County Detention Center. Dollar was taken before a Watauga County Magistrate and was given a $250,000 bond. She is being held in the Watauga County Detention Center pending extradition to Tennessee. UPDATE Thursday February 1, 2018 – A sixth arrest has been made related to the case. 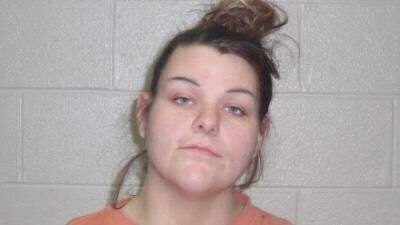 Late Wednesday, Johnson County Tennessee officers arrested Brittany Arnold in Johnson County, according to WCYB-TV. She is facing aggravated kidnapping charges. Sheriff Mike Reece tells WCYB that the assault was captured on one of the suspect's cell phones. That video was reviewed but none of the suspects showed their face in the footage. The department is using voice recognition software to identify the voices. Reece went on to say Edmondson and the jailed suspects knew each other. But the suspects are refusing to tell police where Edmondson may be. contact the Johnson County Sheriff’s Department at 432-727-7761.